Company Profile : Asterisks Softwares is one of the best solution providers for Internet based applications. The pool of highly experienced Professionals dedicated to provide total IT has promoted the Company solutions under one roof. It possesses not only the latest technology gadgets but also the most knowledgeable and experienced hands to offer most user friendly customized solutions. To develop a strong Client base with an equally effective Support structure which acts as a catalyst for effective deployment of futuristically completed and credible IT solutions, we focus individually on each project and build healthy relationships with our Customers. We believe in teamwork. With every new day the quest for acquiring new competencies continues. Forever searching, experimenting, innovating, learning, moving ahead with sincere efforts and dedication, and challenging our competencies to create new opportunities, is a never-ending process in the company. Company Profile : Art Technology & Software was set up in 2003 as a provider of quality IT software solutions to the global market. The promoters, with over 20 years of experience in the UK IT industry was focused on setting up a delivery mechanism which met the international market requirements and was also a centre of research & development of new innovations. 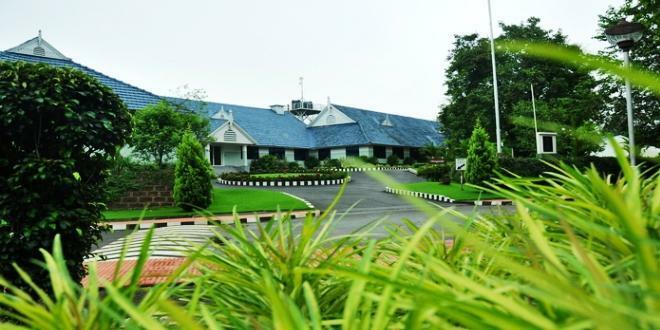 Our cutting edge Development Centre is located at Cochin, South India providing borderline IT services for clients across Europe and North America. Our Business Consultation and Project Management Services enables an efficient and successful completion of projects. The Web Technology Division at ART are wizards in fitting together Web Enabled Applications by using Microsoft, Sun and Open Source Technologies. Your IT requirements and obviously the Production Results would be entirely different, so we have Tailor Made the best possible IT Solutions to suit you. Our resource pool have been barbequed with the Art’s genes of quick turnaround time, the very optimum use of technology and high standards of quality in all that we deliver. Address : Art Technology and Software. Company Profile : Armia Systems (P) Ltd., is a recognised provider of Technical Support Services, Software products and Solutions aimed at helping Web Hosting Companies and net enreprenures to leverage the amazing opportunity available over the internet. Our goal is to provide Internet Companies and individuals, the one asset thats needed more than anything else: time and business scalability! The Company owns SupportPRO, a globally renowned brand of Technical Support Services Providers. A right mix of technical and language skills backed by a robust infrastructure and highly dedicated workforce goes into making SupportPRO a hit among clients worldwide. 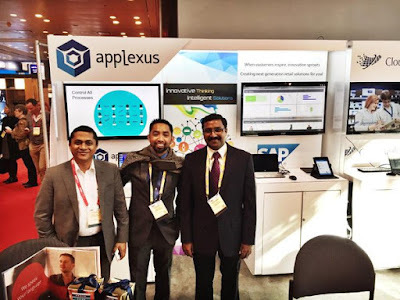 Address : Armia Systems, Inc.
Company Profile : Applexus Technologies is a global Enterprise Business Consulting and Services Company offering industry-leading solutions to retail, fashion, consumer goods, utilities, financial services, healthcare, higher education, and the government. Applexus’ portfolios of services include SAP, e-commerce, user experience, business intelligence, cloud and social media. About Company : Anvita India is an umbrella brand of Anvita Tours2Health Pvt. Ltd. Anvita India is an Online Promotional company which serves the Health care industry as well as the Business Domain. Profile : Almotahida Education Group, established in 1997, is a provider of turnkey education solutions for K-12 and vocational schools, lifelong learning centers and public libraries.Those solutions could include anything from customized curriculum development to creating interactive enrichment materials; equipping and integrating a smart school with technology and tools; and improving usage of your own materials by digitizing print and developing interactive lessons and quizzes. Additionally, we offer optional training on all our products and services, or we can develop proprietary training workshops for your school or organization. Company Profile : Abyss Technologies is a complete IT Solution company established in 2004 by core software and business professionals. Our focus and expertise allows its customers to maximize the business benefits of Information Technology. We believes in cultivating long term strategic relationships with its clients for mutual benefit. The company operates in the following segments: IT services and Software Products. The Company offers services, including software development, system maintenance, packaged software integration. It uses the company's global infrastructure to deliver value-added services to its customers to address IT needs in specific industries and to facilitate e-business initiatives. Abyss offers customers delivery alternatives through its offshore centers located in India, through offsite centers that have been established in markets and through onsite teams operating at the customers' premises. 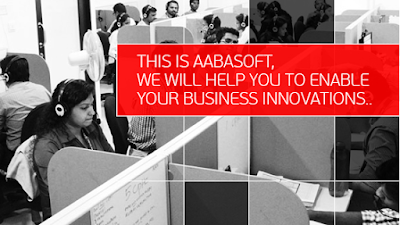 Company Profile : Aabasoft is a global IT solutions company celebrating a decade of innovation, passion for this industry and fast paced growth. Our success is entirely the success of our clients. In this rather short period we have set benchmarks in product innovation, implementation & continuous development. We believe in three important factors which are quality, value & time. Our clocks function to deliver you the very best at the right time at the right cost. Our philosphy is to have the client at the focus point of all discussions & planning so that the service will be essentially client oriented. Company Profile : Vanilla Networks is a vibrant and progressive company which has achieved exceptional growth and continues to thrive. The company has a web development and design department apart from the 24-hour outsourced technical support team. Since its inception in November 2003, the company has been growing quickly with the primary focus of building a strong infrastructure to enable it to sustain its rapid expansion plans without the level of service diminishing.